Commercial trucks have been banned on Legacy Parkway in Davis County since its completion in 2008. Besides the mosquitos, Angie Keeton loves everything about living near Legacy Parkway. There’s open green space, birds and other wildlife, and bike paths with plenty of neighborhood playgrounds for her 7-year-old son to play on. Since it was completed in 2008, homes and businesses have popped up along the 12-mile roadway, which only allows cars and small box trucks. Angie Keeton lives near Legacy Parkway in Davis County. She worries that if the truck ban is allowed to expire, quality of life will drop for her and her neighbors. But in 2020, a ban on large commercial trucks and the 55 mph speed limit are set to expire, which worries residents like Keeton. “There was a lot of concern” from neighbors when they first found out that the truck ban wasn’t permanent, Keeton said. More large vehicles would mean more noise, more traffic, more air pollution and likely more construction on the parkway. “If the truck ban were to expire, the very next day, residents here are going to see a change in their quality of life,” Keeton said, looking out at the cars zooming on the roadway a short walk from her house. Legacy was originally planned as a wider highway, but legal challenges from environmental groups led to the compromise that Legacy Parkway is today: a 55 mph, four-lane byway that bans trucks with five or more axles unless there’s a traffic emergency on I-15. “This is important to note: these were conditions that were forced on the state,” said Sen. Todd Weiler, R-Woods Cross. Weiler is running a bill to extend the truck ban for another two years while planning for a longer-term solution. But he expects “a lot of resistance,” particularly from incoming Senate President Stuart Adams, R-Layton, and Sen. Don Ipson, R-St. George, who owns a trucking company. “One of the ways I’m trying to alleviate that some of that opposition is saying, ‘Look, I’m just asking for two years. This puts everybody on notice,’” Weiler said. Legacy Parkway was originally planned as a much larger road that would allow commercial trucks. Some lawmakers expect that the road will eventually need to be widened to accommodate more growth in the valley. Adams was heavily involved in planning Legacy Parkway during the mid-2000s when it was originally proposed as a much wider highway. He ran the bill adopting the truck ban and speed limit compromise, which he points out were only agreed to through 2019. “So it’s pretty hard for me to violate what was in agreement and actually support the ban – continuing it,” Adams said. 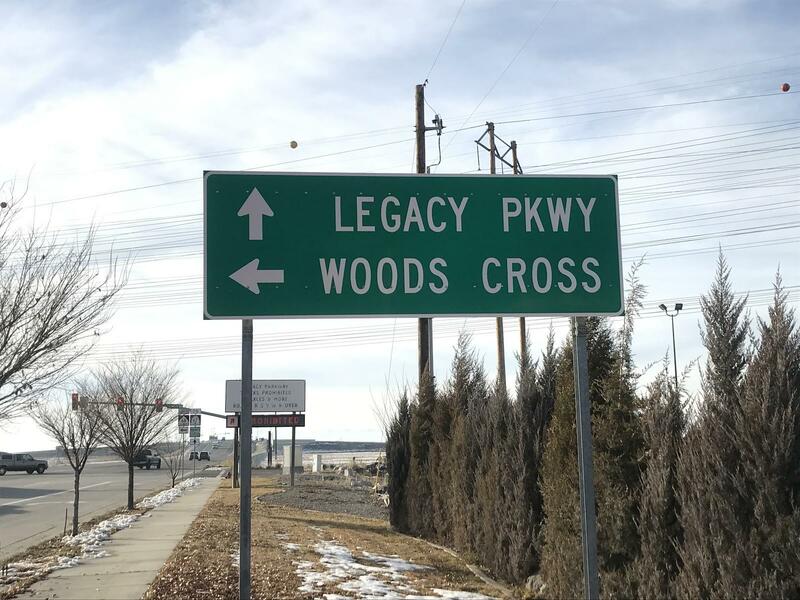 Adams also believes that the state’s growing population and increasing traffic demands will eventually mean further expansion of Legacy Parkway into a highway with more lanes. Keeton and other community advocates are planning a town-hall meeting Wednesday evening to raise their concerns with local lawmakers and learn more about what it could mean for their community if the truck ban does expire. A coalition of community and environmental groups is asking the Utah Department of Transportation to reconsider building a new freeway along the west side of Davis County. Their so-called "Shared Solution" asks U-DOT to study improving east-west roads and walkable communities as an alternative. 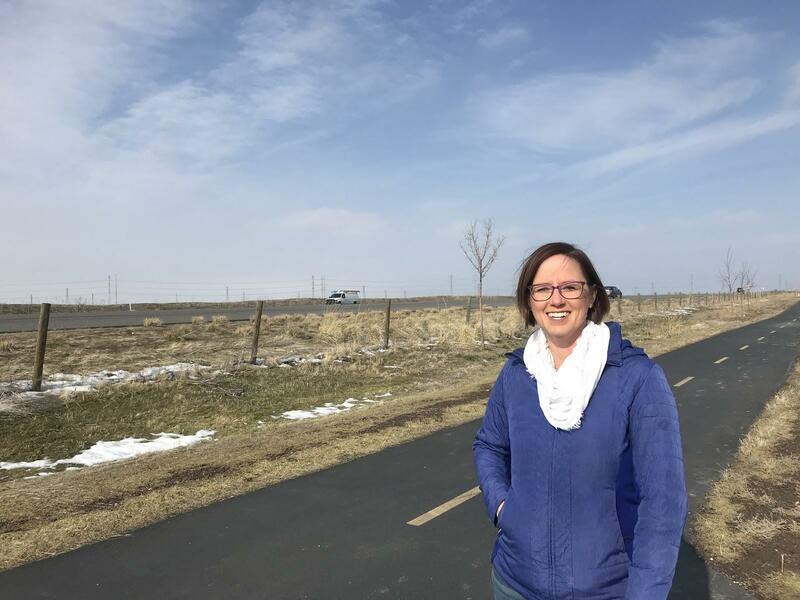 Community activist Lori Kalt wants to avoid a new freeway cutting through her neighborhood on the west side of Farmington.